yield point is always somewhat above the elastic limit. yield strength), the material is permanently deformed. machine, which puts a stretching load on the metal. or shear) should always be stated. 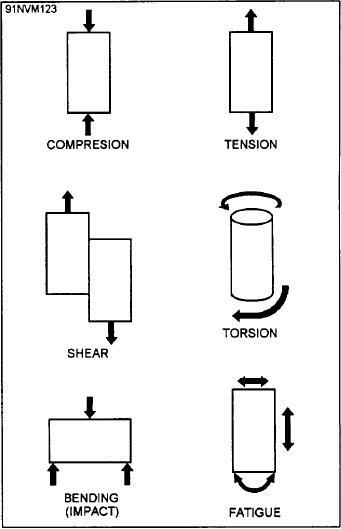 compression, tension, shear, torsion, bending, and fatigue.